The colors are extremely vivid, bright, rich, beautiful with a wonderful saturation in the colors. 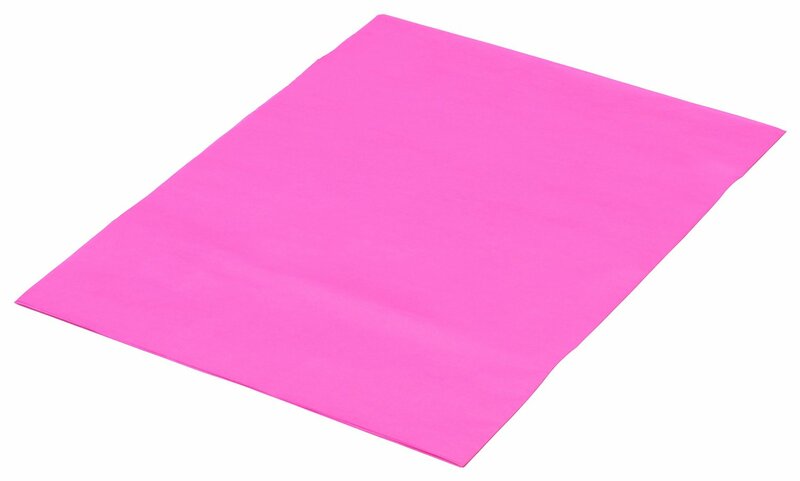 Size (19 2/3" X 29 1/2") Thicker, Heavier (21GSM) won't tear easier, 25 vibrant colors, 100 sheets. Have you ever wonder if you can have larger, thicker, brighter Tissue Paper sheets, with more colors? 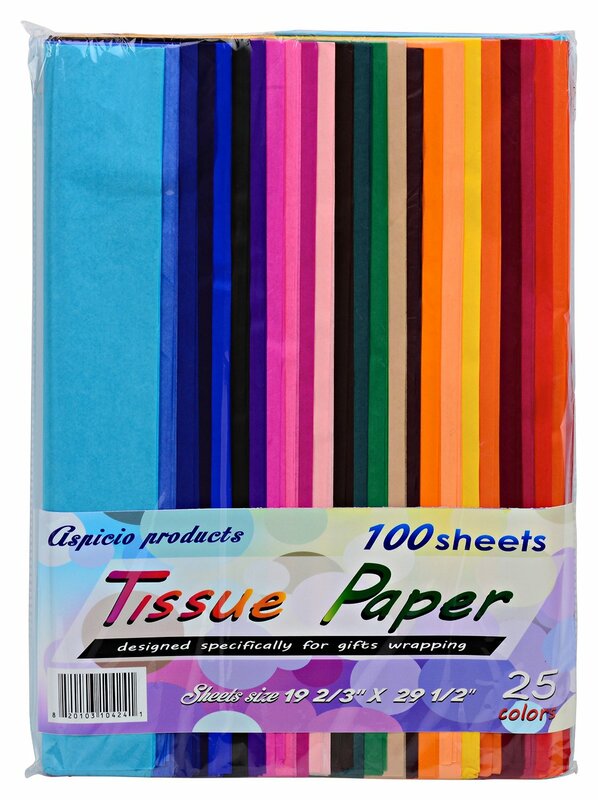 Well look no more, we just introduce a tissue paper sheet that will definitely wrap your gift with vivid or subdued colors, accentuates your gift boxes. -Bigger size 20" X 30". -Thicker 21 GSM, it will not rip. - Minimum bleeding. 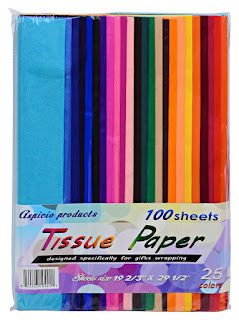 - A great value pack with 100 sheets. - Extensive assortment 25 colors, 04 sheets each color. 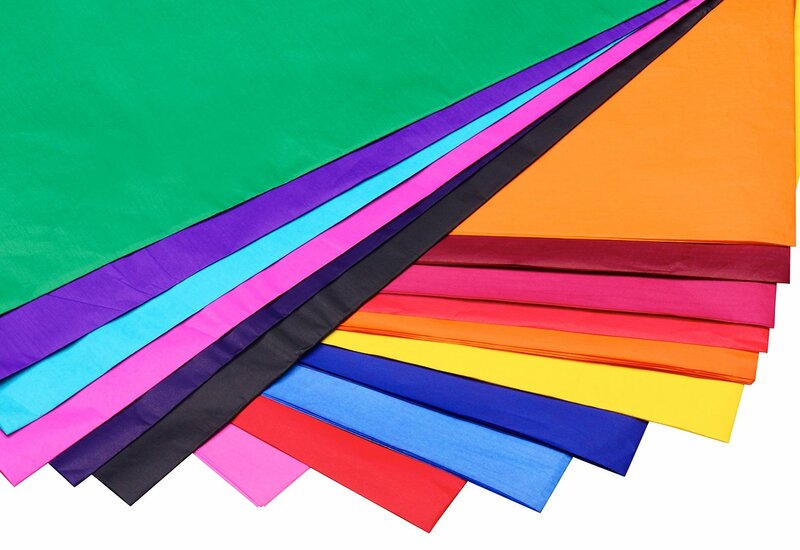 It can be used for gift wrapping, a contrasted accent for stuffing you boxes, bags and baskets gifts, projects art like collage, giant pom poms, silk flowers, decoration, great for craft and many uses. 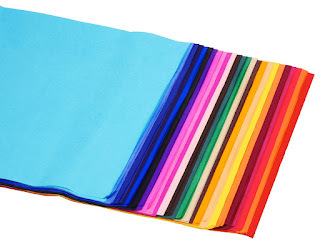 Each Aspicio Product package of colored tissue paper has the same colors and the same number of colors. 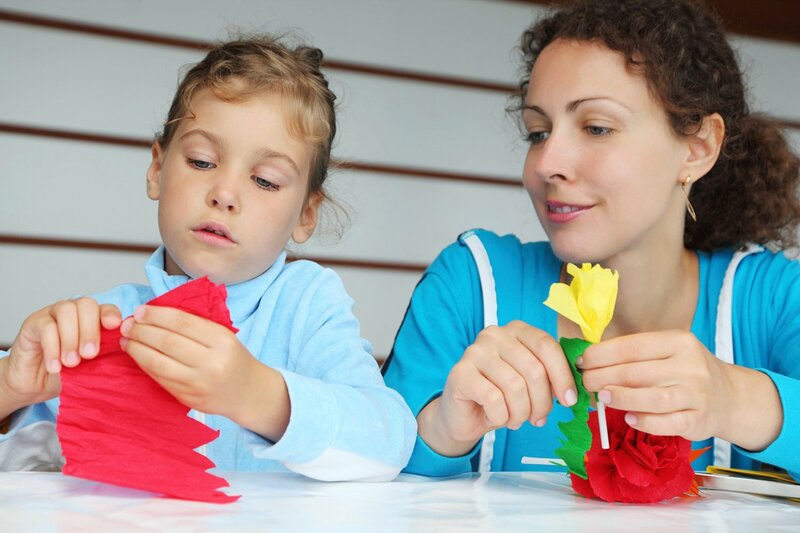 They pride themselves to be consistent with each and every package of their colored tissue paper. Best price by the square foot. 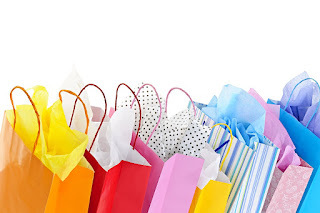 -You got exactly the same product (colors, size, package) as pictured in their detail page images. They are consistent in the quality, and the packaging of their product. 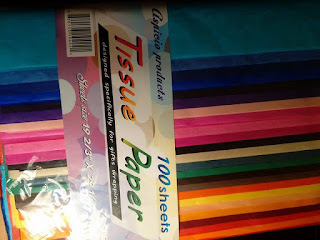 Having a family that is always crafting, I was excited to get this Tissue Paper-Craft Colored Paper from Aspicio Products. I love that it is displayed very nicely with all 25 different colors of paper in view and easy to access. 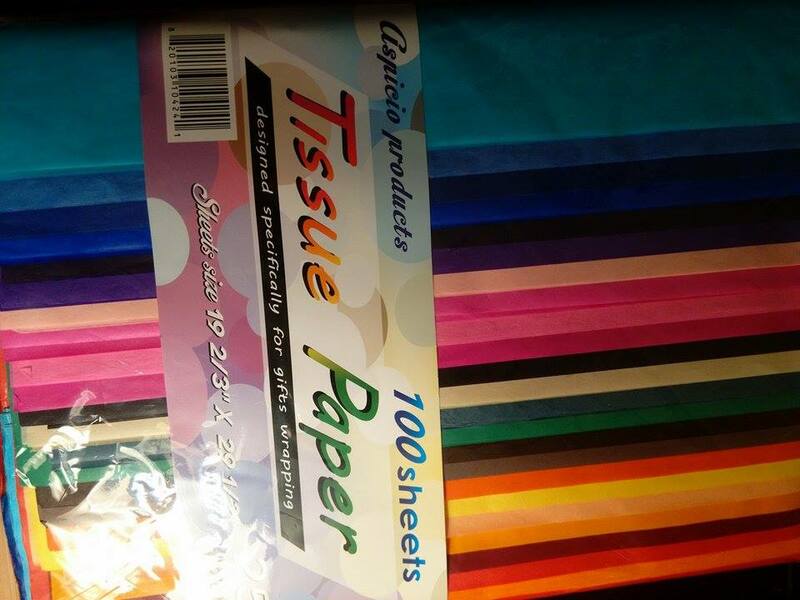 I think it is great that there are 100 sheets of tissue paper in this one pack. This is really nice to match any color scheme for crafting and matching any gift bag or box for gift giving. 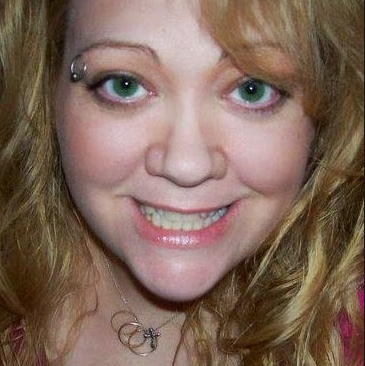 The colors are very vibrant and I really lie that there are several shades of each color. The sheets are tissue paper but not easily ripped by accident when working with it. I like that I won't have to go out and buy more paper or look for a specific color for a long time. I think this is great to have on hand for crafting, school projects, decorating and for gift bags and boxes.